The Bachelor of Science in Social Sciences degree requires completion of 40 courses/120 credits, with at least 15 courses/45 credits taken at Assumption. It includes the CCE Core, a common core of ten liberal arts courses designed to provide a foundation of knowledge in ethics, writing, theology, philosophy, literature, history, mathematics, natural science, and foreign languages. Also required is the CCE Capstone course, a multi-disciplinary directed study, designed by the student, and completed under supervision and guidance of Assumption faculty. Take your writing to the next level with this basic writing course emphasizing planning, composing, and revising. Specifically, the course deals with strategies for generating ideas, recognizing audience, clarifying purpose, focusing on a perspective, and choosing effective arrangements of ideas. Techniques of revision, which are central to the course, focus on appropriateness of language and effectiveness of development, as well as on editing. Learn to get your point across and achieve your goals in business. Simple and direct writing works best, and this course improves skills and provides strategies to write better emails, memos, letters, reports, and resumes. This course provides practice in writing to inform and persuade, and prepares students for successful writing for college and career. Emphasis is on audience, organization, summary, analysis, use of sources, documentation, revision, and mechanics. Several types of essays and a research paper are required. Prerequisite: ENG130E recommended. An introduction to the Bible. Both the Old and the New Testaments are approached from their historical and theological perspectives. A course designed to familiarize the student with that activity called philosophy, the study of the meaning of life and the human condition. There is an examination of the beginning, the method, and the goal of philosophy. A division of philosophy into its specialized problem areas is included. Choose 21 courses from our large and diverse pool of open elective classes. All bachelor degrees require the CCE Capstone course, a multi-disciplinary directed study, designed by the student, and completed under supervision and guidance of Assumption faculty. A capstone course is required of all bachelor degree candidates. The CCE Capstone is a multi-disciplinary independent study designed by the student, approved by an Academic Counselor, and completed under the supervision and guidance of an Assumption College faculty member. The purpose of the Capstone is to create an opportunity for bachelor degree candidates to make connections between the variety of disciplines that are part of their liberal arts or business administration degree program. The CCE Capstone may include an academic or career portfolio, research papers, projects or presentations, publications, journals, films or plays, etc., and should be equivalent to a three-credit upper-level college course in scope and content. Some interaction between the student and supervising faculty is to be expected, and adequate time must be invested in the planning stages. 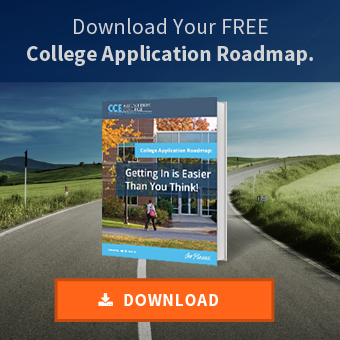 Students should approach the CCE Capstone thoughtfully. It is strongly recommended that students plan a full semester ahead of the scheduled start date, to allow for full development and faculty input in the planning stages. Students who have completed a minimum of 105 credits are eligible for the CCE Capstone and are required to submit a formal proposal (CCE Capstone Application) to their Academic Counselor for approval no later than one week prior to the start of the semester in which it will be completed. A student whose concentration within the Bachelor of Arts in Humanities is English might create a capstone that combines literature with another area of interest, such as paralegal studies, and might want to focus on works of literature and films that depict the practice of law in some way. The student might work with a faculty member from English or Paralegal Studies, someone who shares this interest and is willing to provide guidance and evaluation of the work. The English/Paralegal Studies Capstone might have a bibliography that would include works such as The Merchant of Venice, To Kill a Mockingbird, Inherit the Wind, A Few Good Men, and The Brothers Karamazov, to name just a few sources of inspiration. It might end up being a short story or novel, suitable for publication, written by the student about a particular legal issue or case study. The student might compare and contrast fictional representations of courtrooms and trials with actual cases, and try to determine whether art imitates life, or life imitates art, with examples drawn from extensive readings and interviews.